NCE and Heat were crowned Douglas County Recreational Basketball League champions. 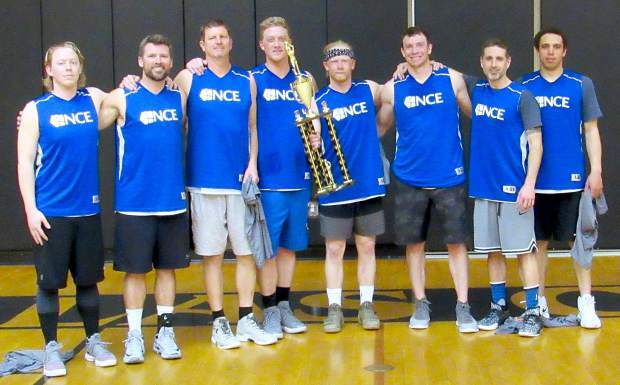 NCE wrapped up the adult title by beating champion floor 85-79 to finish the season 11-1 at the Kahle Community Center. The Heat beat the the Lakers 28-20 to also finish the season at 11-1 and claim the fourth and fifth grade crown. NCE is (above, from left to right) Josh Henry, Jason Drew, Jerry Williams, J.T. Eichenberger, Duncan Kincheloe, Jared, Cozac, Brad Smith and Theo Denson. The Heat is (below, from left) Gavin Osborne, Japdeep Dhillon, Caleb Hurst, Shamus Neals, Ben Jaeger, Bobby Jaeger, Hudson Bigley, Wyatt Miller and Eli Letton.